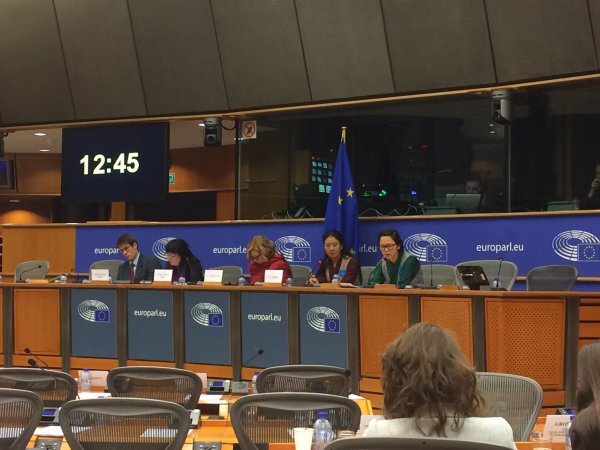 18 months after the death of Buddhist monk and Tibetan community leader Trulku Tenzin Delek Rinpoche in suspicious circumstances in a Chinese remote detention facility, his niece Nyima Lhamo was in Brussels to raise awareness of the plight of Tibetans. In this occasion she spoke at the International Campaign for Tibet and met with UNPO. Rinpoche was a highly respected Tibetan spiritual figure, recognised by His Holiness the Dalai Lama as a reincarnated Lama, and one of the most prominent Tibetan political prisoners arrested and detatined by the Chinese authorities in 2002 under false charges of involvement in bomb explosions in Chengdu city. Condemned to execution with a two-year reprieve, his sentence was later commuted to life imprisonment following campaigns by Tibetans in exile and calls from international human rights organisations for his release. After 13 years of imprisonment, he died on 12 July 2015. Shortly after her uncle’s death, Nyima and her mother Dolkar Lhamo were detained for 15 days in secret locations on charges of “leaking state secrets to the outside world” for questioning the circumstances surrounding Rinpoche’s death. Indeed, his body was immediately cremated by the Chinese authorities, in contravention with Tibetan custom to preserve it for 15 days, and his family suspects he was actually poisoned. The conditions of Nyima and her mother’s release were that no information on Rinpoche shall be shared in Tibet and China, no accusations shall be made against the Chinese authorities that Rinpoche died of poisoning, and no discussion of Rinpoche’s death shall be held at any public gathering and in the outside world. Nyima finally fled to India in July 2016 in order to tell the story of her uncle and to call on the international community to pressure the Chinese government and carry out a thorough investigation into the circumstances that led to Rinpoche’s conviction and eventually his death. She left behind her family, including her 6-year-old daughter Dawa Dolma and 53-year-old ailing mother. Although she fears for the safety of her family still in Tibet, Nyima believes that it is her duty to let the world know about the injustices suffered by her uncle, and all Tibetans living under China’s oppressive rule. The Chinese dictatorial regime has been cracking down on Tibetans for decades, suppressing their religion and traditions, and attempting to assimilate their culture. On 28 November 2016, she testified before the Subcommittee on Human Rights (DROI) of the European Parliament in Brussels. The EP passed resolutions the conditions surrounding Rinpoche’s imprisonment and urging for his release in 2002, 2003, 2004, and 2005. 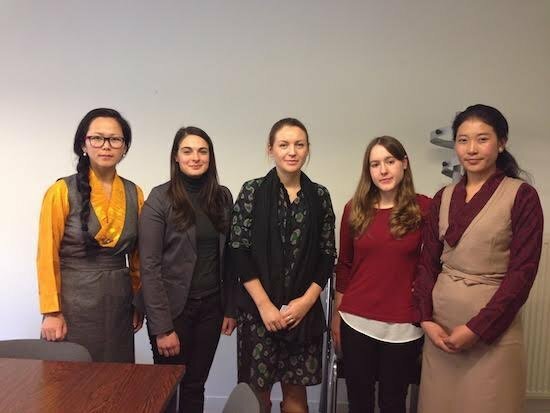 Nyima also met with Mr Csaba Sogor MEP (EPP) and Ms Molly Scott Cato MEP (Greens/EFA) as part of the informal Intergroup on Tibet at the EP on 07 December 2016.